Dr Belt offers surgery for skin lesions, both for those present at birth (congenital) as well as those which appear after birth (acquired). Skin lesions include moles or naevi, vascular malformations and haemangiomas (birthmarks), and giant congenital naevi. Surgery may consist of simple excision and closure or more advanced reconstruction including serial excision, tissue expansion, grafting or flap repair. Please contact Dr. Belt’s team for more detailed information and advice about your specific condition. 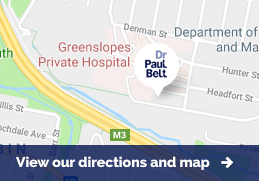 Dr Belt is happy to conduct a telephone consultation with you prior to your appointment.